When inquiring about a sealcoating project, most homeowners or property managers will ask about the type of sealcoating equipment that will be used on their job. Particularly when this question is asked, they are referring to how the sealer will be applied. Depending on the company you choose, you may see a brush, spray, or squeegee method used. Each of these methods have their own benefits, and often the “best” choice may come down to the company you choose, and your specific project’s needs. This application method is often preferred for a rough or porous surface. Typically, sealcoating equipment for this style will involve a ride-on machine that has a squeegee attached, or manual application. It is often implied that this method can help to achieve stronger bonds on irregular surfaces, but it also requires more attention to achieve an even coat. 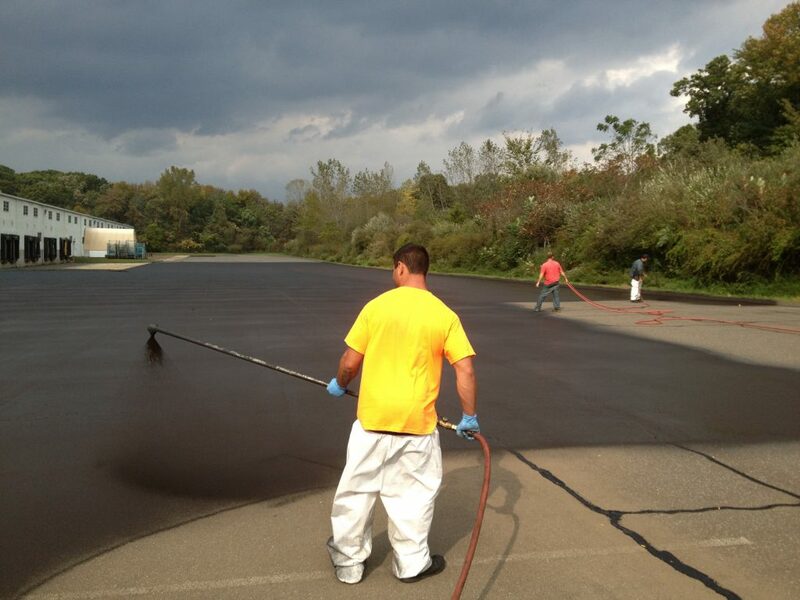 Squeegee application often allows for a thicker layering of asphalt sealer. However, this may not always be a pro. The thicker the sealer layer, the longer it takes to cure. If not given the proper time to fully cure, it may degrade sooner than expected. 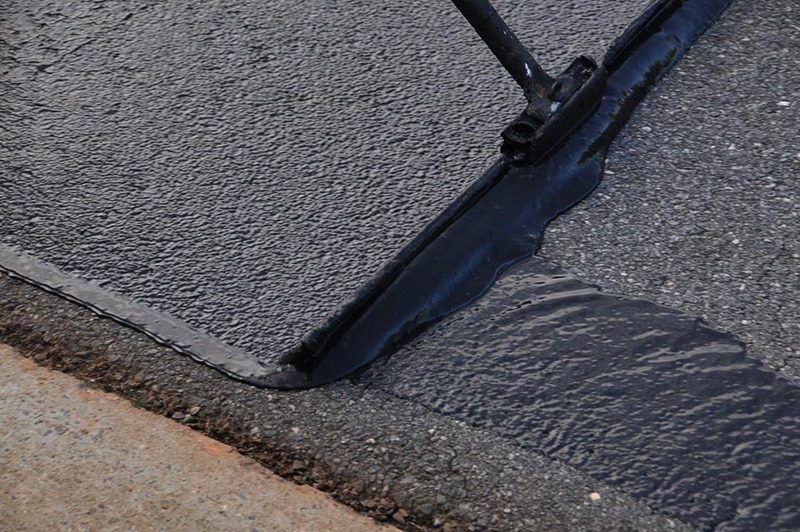 If your asphalt is smoother, it may be difficult to apply enough sealer with the squeegee application method. On the contrary, a very porous surface may lead to an application that is too thick. The sealcoating equipment typically used for the spraying method is a trailer and a hand wand. Spray sealcoating is a quicker technique and allows for a more even application and coat. A more even, and controlled application means a higher chance of allowing for proper curing time. The consistency of the spray method eliminates the chances of thicker areas, or brush marks. Using the spray method, your contractor will typically spray the first coat, and then apply a second to cover any spots that may have been missed. Spray sealer application allows for control of how much material is laid down. 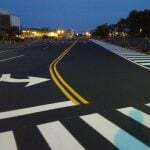 A popular misconception about spraying asphalt sealer is that the material is much thinner than it would be with squeegee application. However, this is not actually true. Spray jobs typically last longer. 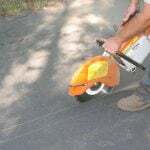 At EastCoat Pavement, we use the spray sealer application method. 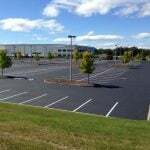 We find this method to be the most beneficial for our clients, especially since we specialize in commercial parking lot application and smooth asphalt surfaces. Using spray sealcoating equipment is particularly effective for commercial parking lots because of its quick dry time. 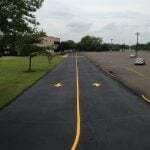 As mentioned above, allowing for proper cure time is a necessity to avoid premature breakdown, but, extended periods of interruptions to your commercial lot’s daily traffic flow can be a problem. With a quicker dry time, and an overall more controlled application process, the spray sealcoating application process is overall (in most cases) the better option for commercial lot sealcoating. When choosing EastCoat Pavement Services as your sealcoat contractor, you can go in knowing what sealcoating equipment and method of application will be used. Did you know that sealcoating can still effectively be done throughout most of October? Contact us today for your free commercial sealcoating consultation, and arm your lot for the harshness of winter!